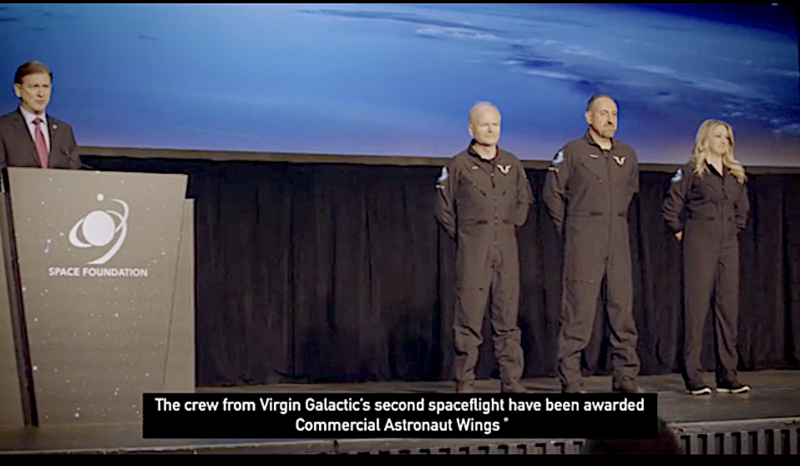 The three-person crew from Virgin Galactic’s second space flight have received Commercial Astronaut Wings from the Federal Aviation Administration (FAA). The crew became the fifth, sixth and seventh people in history to receive this honor, and Beth is the first woman to earn Commercial Astronaut Wings. 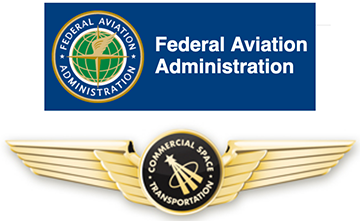 The wings were presented by the FAA’S Associate Administrator for the Office of Commercial Space Transportation, Wayne R. Monteith, who stated that commercial human space flight is now a reality. These wings are just a small recognition for the truly remarkable achievement by these crewmembers to reach outer space. Beth Moses said it was an honor to receive her Commercial Astronaut Wings. Since the flight, assessments are being made of her cabin evaluation findings from my cabin evaluations and she is excited by what the results are showing. She is looking forward to incorporating what has been learned into the cabin outfitting and astronaut training program. The Space Achievement Award will be presented to Richard Branson at the closing dinner of the 35th Space Symposium and has been awarded in recognition of the success of both crewed spaceflights, which were the first from U.S soil since the final Space Shuttle Mission in 2011. 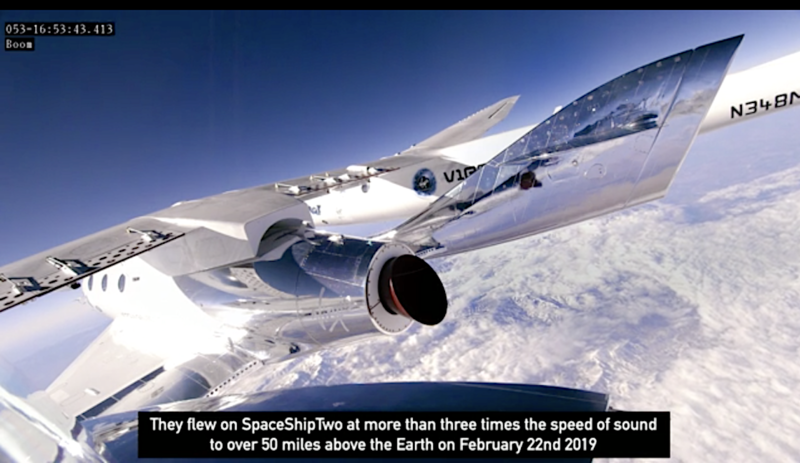 Tom Zelibor, CEO Space Foundation, said that Virgin Galactic and TSC’s commitment to public access to space is an example to all of how vision, hard work and resilience enable great opportunity. They’ve created an inspiring environment for engineers and innovators to follow and the Space Foundation is honored to recognize their leadership with its annual Space Achievement Award.